The World Anti-Doping Agency (WADA) has reported an increase in the overall number of samples analyzed and an increase in blood samples in its testing figures report for 2017. The report states there was an increase of 7.1 percent in the overall number of samples analyzed compared with 2016. A total of 322,050 were analyzed in 2017, compared to 300,565 a year earlier. The vast majority of samples came from Olympic sports, which consisted of 205,405 of the total number. The report states that 1,575 resulted in adverse analytical findings (AAF), with a further 107 ending in atypical findings (ATF). 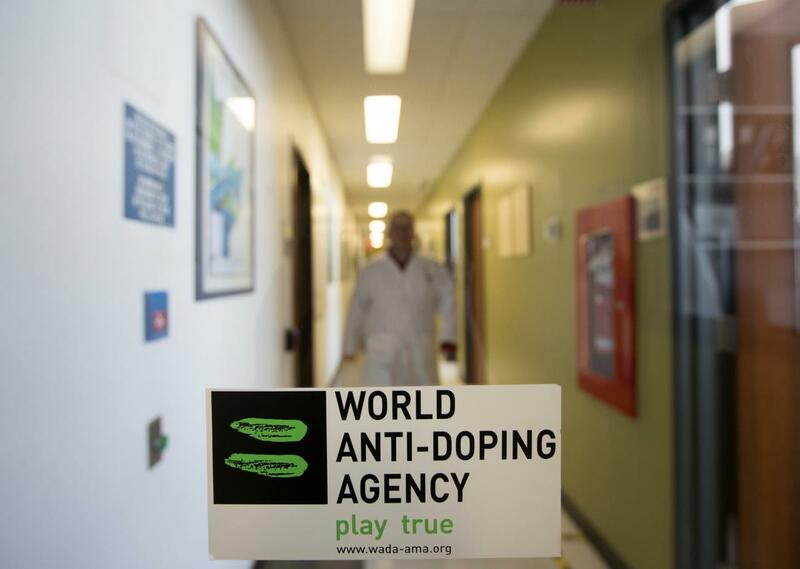 WADA stated the number of AAFs may not correspond with the number of anti-doping rule violations (ADRVs) reported. This is due to all results being subject to a results management process conducted by anti-doping organizations, which includes matching results with Therapeutic Use Exemptions and longitudinal studies which can result in no case to answer or no sanction. An ATF is a report from a WADA accredited or approved laboratory which requires further investigation, prior to any possible AAF being confirmed. A single result may also not necessarily correspond to one athlete, with results potentially coming to multiple findings regarding the same athlete or measurements performed on the same athlete. In addition to the samples analysed in Olympic Sports, there were 39,827 assessed in non-Olympic sports. This includes sports under the banners of the Association of IOC Recognized International Sports Federations, Alliance of Independent Recognized Members of Sport, the International Paralympic Committee, Sports for Athletes with an Impairment or other sports. A total of 1,174 AAFs were recorded from these samples, along with 27 ATFs. The remaining 78,818 samples were not reported in the Anti-Doping Administration and Management System (ADAMS), which includes professional leagues in North America. From the samples there were 1,847 AAFs and 26 ATFs. The WADA report does not illustrate statistics on ADRVs, which are will be reported separately in 2019. The 2019 report will show analytical and non-analytical cases and the outcomes of results management. “WADA is pleased to publish this report, which offers a comprehensive reflection of global anti-doping testing figures,” said Olivier Niggli, WADA director general. “In addition to the 2016 ADRV Report published in April, this data will help organisations reflect on their anti-doping programs. “The report is part of an overall suite of resources and activities that includes educational initiatives, intelligence and investigations, and information sharing between Anti-Doping Organisations that helps to protect the integrity of sport and protect clean athletes. The WADA testing figures report shows a decrease in the proportion of AAFs from 1.6 percent of samples analysed in 2016 to 1.43 in 2017. The decrease is largely due to a reduction in the reported cases involving the heart attack drug meldonium. There were 515 cases involving meldoium in 2016, which was included on the WADA prohibited list for the first time in that year. The number of cases dropped to 79 in 2017. WADA also reported an increase in the number of blood samples analyzed from 23,298 in 2016 to 27,759 last year. This included an increase in the overall number of non-Athletes Biological Passport blood samples from 7.75 percent in 2016, consisting of 23,298 of 300,565. It rose to 8.62 percent in 2017, consisting of 27,759 samples out of 322,050. An increase of three percent in the number of Athlete Biological Passport (ABP) samples analyzed was reported, with a rise from 28,173 in 2016 to 29,130 in 2017. While the number of international federations that included ABP blood testing remained at 26 from 2016, the number of NADOs increased from 46 in 2016 to 54 in 2017. WADA state the report shows the third set of global testing results since the revised World Anti-Doping Code came into effect in January 2015.